Asphalt shingles are still the number one choice for homeowners across the U.S. They are the most affordable, accessible, and aesthetically pleasing, coming in a variety of colors. Even within this category are a high end and low end choice. Most roofs are made of fiberglass shingles. The sheets are less durable than the next option, but get the job done. Organic shingles are more expensive and are made of recycled felt paper. Both are coated with asphalt to water proof the shingle and potentially the home, then sprinkled with ceramic granules to reflect the sun’s UV rays. If you can afford the investment on cedar shake shingles, you will make your money back in energy conservation. These shingles are made of cedar and look like your roof is made of wood! The wood is a natural insulator that does a great job of keeping the home hot or cool. The roof is extremely durable and does well in high heat and places with unpredictable weather patterns (hurricanes, tornadoes, storms, etc). Some manufacturers coat the wood with a fire resistant coating for an added benefit of fire resistance. The cedar shake roof is less common and needs special installment, so before you make this choice be sure you’ve found a reputable roofing company that has experience with this type of roof. Tile roof shingles are made of ceramic or slate. When I was a child, I referred to them as “nacho roofs”. They usually look a little bit like sun chips. They are highly durable and can last you 50-100 years or more. The material proves a great natural barrier from the sun and is popular in the hottest climates, on the west coast. 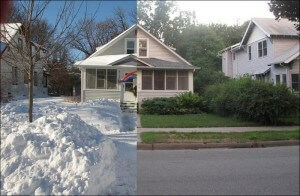 It, too, will be conservative on your heating and cooling bills and is cost effective in that regard. It’s most often chosen in a reddish orange, terracotta pot color, but is available in a wider variety and should be chosen based on your home’s color palette. Metal roofs are most employed in the South, due to harsh weather patterns that can cause a lot of water damage. It is an investment, but can pay for itself over time. It would last you up to 60 years if chosen. In climates where water is a constant factor that damages other types of roofs, the metal roof is a winner. Water is less likely to penetrate it because it has less cracks and crevices, but should be inspected monthly and after storms just as you would any other roof. Because metal is a lighter weight material, it can enhance the life of your home’s structure and walls. A leaky chimney causes a lot of problems to people, structures and items found inside. Chimneys can get damage from time to time and if no repairs are done, you will finally end up paying for expensive repairs to the interior of your home. Chimney leaks are sometime tricky. This is because water will move in and weave wherever it is vulnerable, and tracing back the leaky source requires a thorough understanding of the vulnerable places such as the chimney system. Here are the main reasons of the chimney leaks. This is usually the simplest cause of chimney leaking. It happens when chimneys do have covers to protect them from the falling rain. A chimney cover keeps the rain out and also protects it from birds, animals and debris. Therefore, a cover is very important to every homeowner to make sure that the chimney is safe and rain water will not get in. The top part of the chimney is usually cemented. This part is known as chimney crown and is meant to stop the rain and snow from falling in around the tiles. 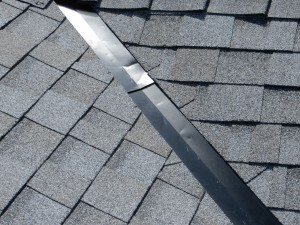 When cracks happen around the chimney crown which may be as a result of shifting of the structure or shrinkage, chimney then begins to leak since water goes straight through those cracks. Small cracks may eventually become bigger. Thus there is need to fix the problem when it is still early enough. Excellent crown coating materials like chimney saver crown coat can be used to fix it. This kind of material prevents small cracks from becoming larger, but the best way to go about it is to coat your chimney crown from the beginning to avoid later repairs. Most chimneys leaking happen as a result of condensation. Condensation can happens when ascending combustion gases meet cooler temperatures in the higher parts of the flue. This finally drops below the dew point. This process usually occurs during cold weather or when the chimney is mostly exposed to the outside. Besides, if the chimney is blocked, the slight condensation that may happen could accumulate into heavy condensation due to obstruction. Further, gas fumes are very low temperature and have a lot of moisture. If these fumes condensed on the inside of the too-large, too-cold chimney, it will cause condensation since it makes the bricks soaked and moist all the time. This is another cause of chimney leaks. Flashing is aesthetically pleasing part of the chimney’s exterior. It adds metallic brightness especially if it is made of copper. 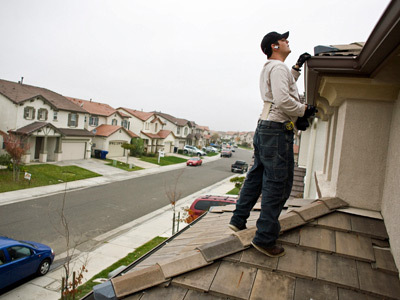 Flashing can get damaged and it requires repairs or installation because damaged flashing may cause chimney leaks. A part from making the structure looks appealing, flashing also keeps water from going into the place where the bricks structure come through or close to the roof. A fairly large cap normally exists between the bricks and the roof and water will move through that hole if not sealed properly. To avoid flashing problems, make sure you get the right materials for flashing such as Flash Seal by Saver Systems since they are better and last longer. 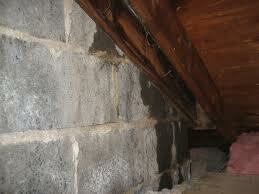 Water intrusion may occur through the bricks or the mortar joints. 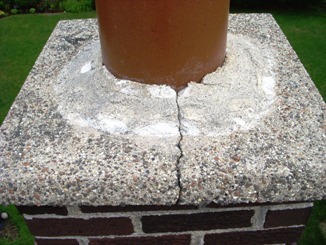 Mortar joints deteriorate over time, leaving some holes that admit water. Water may then enter a hole in the mortar joint and move to a hole in the bricks to a point past the flashing and finally onto a ceiling and even all the way to the slab. Waterproofing a chimney is therefore very significant. However, the wrong material may render it futile. A leak occurs when a surface or part of the house stay wet because the sun never shine in those places. The right waterproofing material is the one that physically blocks the pores of the brick or the mortar. Used polysiloxane waterproofing agents rather than silicone based water sealant that may cause more damage. Generally, chimney leaks are hard to pinpoint because they can come from nearly anywhere on the chimney. What is very important is to clearly check and understand the source of chimney leaks. Sometimes a leak can start in a different place and finds its way to the chimney. Water can move into the attic or above the ceiling and drip to the floor or roll along the stringer. If all these happened and remain undiscovered, people may spend large sum of money fixing everywhere. Knoxville Roofing: The Significance of Home & Roof Inspection while Buying a Property! It is obvious that you would inspect a home and all its structural components and even the aesthetic elements before you make a decision to purchase it or to discard it. Here, we are not talking about the usual site visits wherein you simply check out the home and develop the first impression. That can be called an inspection but we are talking about a technical inspection. When you look at the walls of a room, they may appear to be strong and healthy or they may be well painted and might appeal to you. It is not very easy to spot the structural issues unless you hire a professional. The walls may be damaged from within and you wouldn’t know that unless there are visible signs. The same applies to the roof. 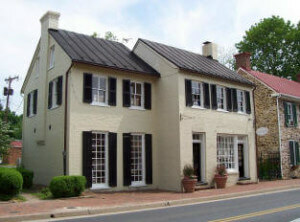 A roof may appear to be strong or it may appear to be dated, aged and fragile. The latter would obviously discourage you from considering the property. But even an apparently appealing roof may have underlying problems. Home inspection is imperative and you should get a property inspected even before you consider buying it. Here are just a few reasons why you should inspect a home including its roof before buying and preferably do it with the help of a professional. You don’t want to buy a property that has a leaky roof. You want strong decks, sturdy roofing materials, no moss or mold, it should be properly insulated and there should be an appropriate weather guard or coating that will ensure optimum durability of the roofing material. Poorly insulated roof will defeat the objective of energy efficiency in your home. A roof with no waterproofing or lack of coating will not only be vulnerable to leaks but would also fail to bear the brunt of the weather. From the quality of sealants used to the expected life of the roof, you need to know the finer details. This will help you to make an informed decision, it will save you money as unexpected repairs or replacements will cost you dearly and you can also negotiate the price of a home depending on the condition of the roof and other components. You don’t want damaged plumbing or a burst pipe in the basement. You don’t want to see termites gorging on your furniture or mold and mildew affecting the health of your loved ones. 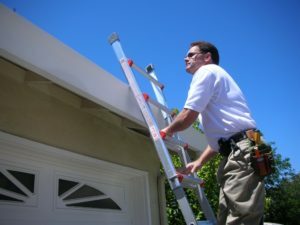 From the roof to the basement, the driveway to the garage, the yard to the landscaping, the sewer lines to the gutters, the flashing and the chimney to the vents and the water line, everything should be inspected thoroughly. There is a number of factors that will determine how and when you are going to need to replace your residential roof. These are the things to consider when you are going to need to repair or replace your roof. Is your home near the water or near an open field? Are you living in an area where there is a lot of high winds? If so, then you will want to consider the higher level or grade materials for your roof instead of the standard basic shingles. If you reside near an ocean, salt water can also play a role in how your roof holds up. The salt in the water can affect the metal of the roof so if the roof is made from metal, have it inspected regularly. Your money should be counted and spent according to how much you have, it is an object therefore should be spent according to as such. The residential roof of your home should be ecological as well as well cared for. The roof goes up in levels from a basic roof to a 3 tab shingle roof. The 3 tab shingle roof is made to withstand a wind speed of up to 60 miles per hour. It is a good, quality roof but the architectural roof is made to hold up to 130 miles per hour. The main difference is the price between the different levels. The value of your home is shown through by the way you care for it therefore if at all possible, make the decision to accommodate your budget for the better roof. The slope of your roof can play a major role in the style of roof you need for your home. There is a flat roof and a 3:12 pitch that is considered to be a low slope roof which will require a membrane roof system in order to perform at its best. The people who choose to live someplace for long term reasons are the ones who will typically spend the much needed money on the roof system. They look at their home as an investment and not just someplace to live. They take pride in what they own so therefore will spend more money on keeping their home safe. For this reason, if you plan on staying longer, spend more money on your roofing system to keep it intact and for as long as possible before you need to make more repairs or replace.